There were 21 press releases posted in the last 24 hours and 153,131 in the last 365 days. MIAMI, FLORIDA, UNITED STATES, October 29, 2018 /EINPresswire.com/ -- The books are definitely coming to downtown Miami as the nation’s finest literary festival, the Miami Book Fair International holds its annual celebration. This eight-day literary party will commence on November 11 with over a hundred-thousand readers and writers in attendance. Distinguished authors from the United States and other parts of the globe, as well as book lovers, will be gracing the Fair and its many activities. AuthorCentrix celebrates its second year as one of the exhibitors at the Fair. The company will be gracing the event with Charlene Memphill and her book entitled The Holy Spirit In The New Convert. This year at the Fair, she brings to the readers, a food for the soul. A chance for one-to-one Author Interview and Book Signing with Memphill await everyone! How does one know that God’s spirit dwells in him? Charlene Hemphill’s book of worship and devotion edifies the readers who have long been lost and have found their way back to Jesus Christ. The acceptance of Christ as one’s personal Saviour paves the way to learning the steps of being a faithful servant of the Lord. The author emphasizes that to learn these steps, one has to know Jesus first in order to speak His truth. 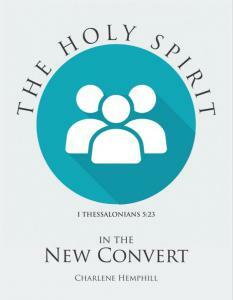 The Holy Spirit in the New Convert feeds the soul, enlightens the mind and gives the truth. Anyone who seeks refuge can definitely turn to a source created by Hemphill from her personal experiences. The Festival will bring over hundreds of renowned national and international exhibitors together as it continues to become a model for other fairs across the country. Events and activities include the Street Fair, book signings, live music, workshops, and readings and discussions with notable authors from both, the U.S., and from around the world. The Miami Book Fair 2018 invites the book lovers to join the annual celebration, as it remains to uphold the cognizance of reading ability and literary arts in the city’s multi-ethnic community, making it the nation’s undisputable, finest literary festival!